BURBERRY Brit Eau de Toilette, 50 ml. BURBERRY Brit Eau de Parfum, 50 ml. 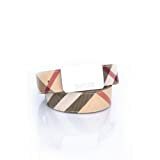 This beige brit check belt from Burberry featuring a stunning signature print going all around belt and polished metal plaque buckle is perfect for complimenting any outfit. 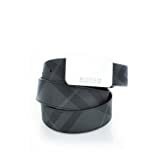 This black brit check belt from Burberry featuring a stunning signature print going all around belt and polished metal plaque buckle is perfect for complimenting any outfit. 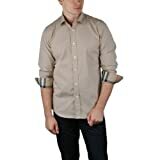 Composition: 90% PVC, 10% cotton with leather trim. BURBERRY Brit for Men Eau de Toilette, 100 ml. 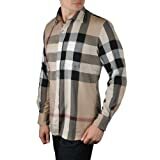 The pattern on this Burberry Brit cotton shirt is called new classic check. We think “new classic” is a perfect description of the Burberry Brit collection; it takes iconic styles and motifs, then reinterprets them with a new attitude and modern proportions. 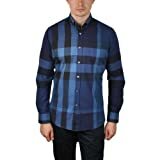 This shirt features a tweaked check pattern and a slim fit.